Anita Doron was born in Berehove, Ukraine, which is in the Transcarpathia region of the former Soviet Union. She was one of the youngest published poets of the country and grew up in a family of high altitude mountaineers. 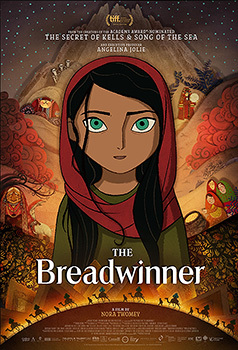 At age 12, her first film raised the ire of the Soviet bureaucracy. A decade later, following an illegal escape from the USSR, Doron’s short films premiered at the Toronto International Film Festival. Her second feature was the groundbreaking Late Fragment, usually credited as being North America’s first interactive feature film. It was an official selection at TIFF and SXSW film festivals. Lust, a short, premiered at the Lerins 1 Theatre in Cannes in May and at the World Wide Short Film Festival in Toronto in June 2011. In February 2010, she became a TED Fellow, recognizing her as an individual who “has shown unusual accomplishment, exceptional courage, and world-changing potential.” She spent almost two years exploring the life of a vagabond, living in India, the Middle East and Brazil, while working on several projects with her partner, Adam Huggins. The Lesser Blessed is her first feature film where she was able to work with the rare luxury of a real budget. 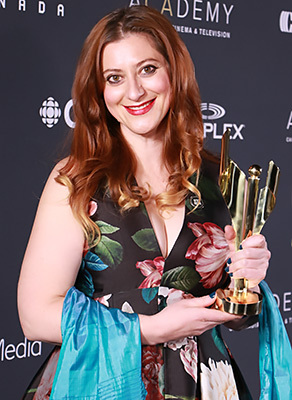 She is pictured with a 2018 Canadian Screen Award for the screenplay of the animated feature The Breadwinner, which had a Special Presentation at TIFF 2017.